Acclaimed actor-filmmaker will be honoured with the Dilys Powell Award for Excellence in Film at the critics’ awards ceremony on 17th January at The May Fair Hotel. The UK’s top film critics will present Sir Kenneth Branagh with their highest accolade, the Dilys Powell Award for Excellence in Film, at their awards ceremony on Sunday 17th January. Born in Belfast and raised in Reading, Branagh graduated from The Royal Academy of Dramatic Art in 1981 and is now its 16th president. He has enjoyed an acclaimed career as an actor, director, producer and screenwriter. His credits span theatre, TV and film. He notably adapted, helmed and starred in Henry V, Much Ado About Nothing and Hamlet. Other directing credits include Peter’s Friends, Mary Shelley’s Frankenstein in which he co-starred with Robert De Niro, the remake of Sleuth starring Michael Caine and Jude Law, and Mozart’s The Magic Flute. In a 34 year on-screen career he has appeared in such films as A Month in the Country, Dead Again, Harry Potter and the Chamber of Secrets, Othello, Rabbit-Proof Fence, Woody Allen’s Celebrity and Valkyrie. The recipient of many major screen awards, Branagh won the Best Supporting Actor Bafta for his portrayal of Sir Laurence Olivier in My Week With Marilyn, a role for which the Critics’ Circle also honoured him. Uniquely, as a UK based filmmaker, he holds five Oscar nominations in five different categories. No stranger to the Hollywood blockbuster, he has directed Thor, Jack Ryan: Shadow Recruit and this year’s charmer, Cinderella. 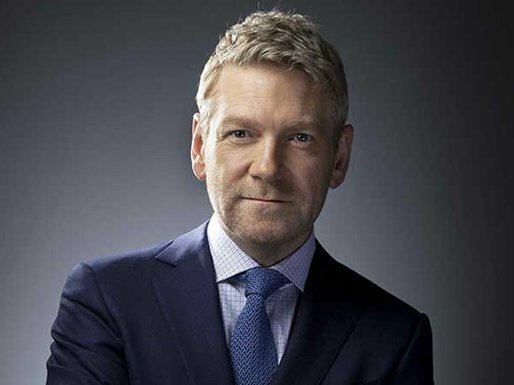 Kenneth Branagh was knighted in 2012 for his services to drama and to the community in Northern Ireland. Dilys Powell was an iconic British author and film critic who pioneered a new style of cinematic journalism. The British Film Institute famously described her as “open to new directions in cinema … not constrained by the middle class shibboleths of ‘good taste’.” Her final review, of Kubrick’s Barry Lyndon, was published in The Times on the day of her death in June 1995. Recent Dilys Powell Award honorees include Nicolas Roeg, Kristin Scott Thomas, Gary Oldman, Helena Bonham Carter and last year’s recipient Miranda Richardson. The award has been given out annually since 1991, when it was presented to Dirk Bogarde. The 36th London Critics’ Circle Film Awards will be presented at the May Fair Hotel on Sunday, 17th January 2016, at a ceremony hosted by actor-filmmakers Alice Lowe and Steve Oram. Nominations will be announced on Tuesday, 15th December. The red carpet event is sponsored by The May Fair Hotel, Audi and Cameo Productions.